It was a buzy weekend for the postman. During the week and on saturday a couple of smaller packages arrived, but I just had the time today to actually take a closer look on them. 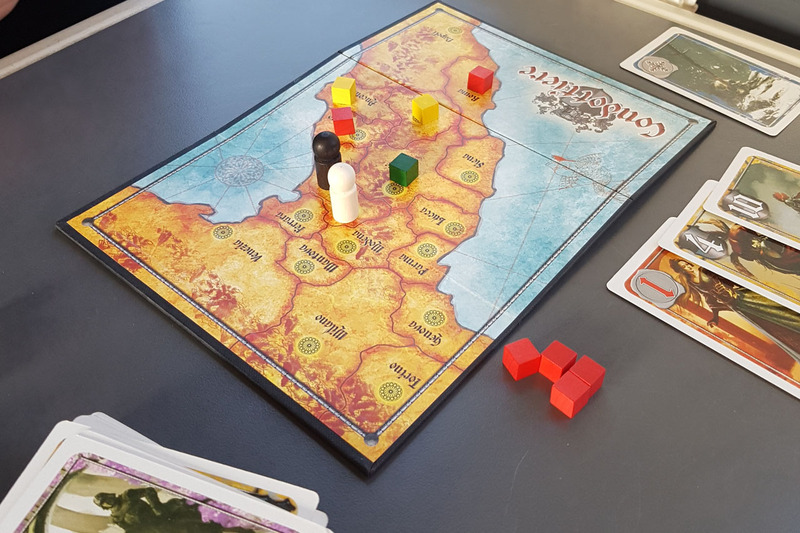 Was a bit buzy myself with the last touches on the Speed Freeks review and Saturdays visit to Spiel in Essen. 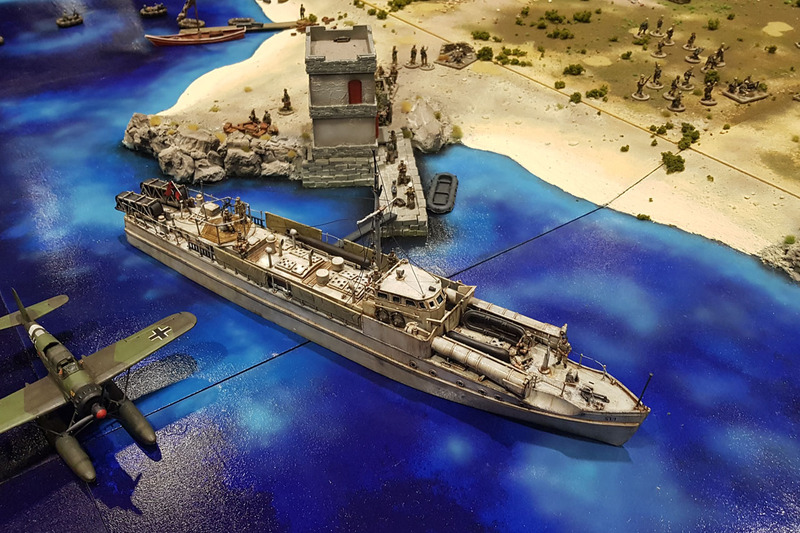 The concluding post to our Operation Sealion 2018, the haul, the loot, the gathered goodies and shiny stuff made from metal, plastic and resin. If you're going by plane, make sure to have enough empty space in your luggage to cope with your buying. 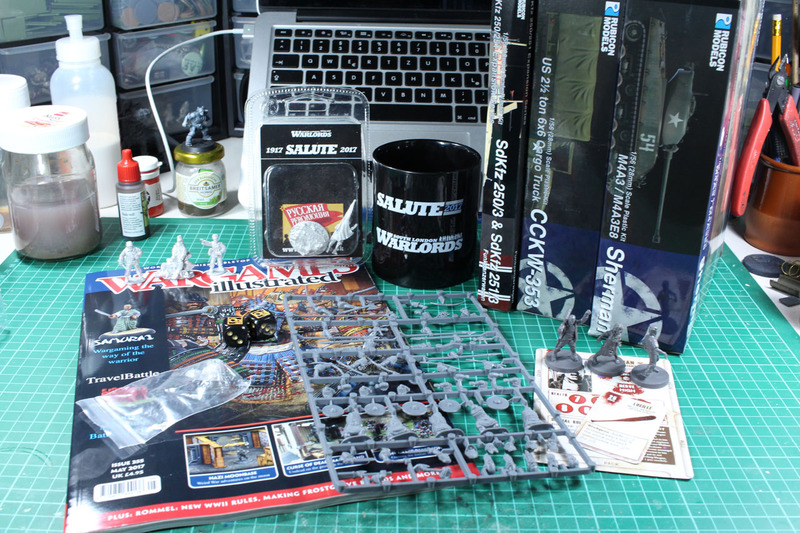 As mentioned before, I was quite happy about the shipping services of some of the companies (and that is the reason, why this post was postponed in comparison with the other coverage, as I was waiting for the remaining miniatures and kit to arrive). But let's begin, this pile of boxes and blister is my yield of our trip to Nottingham and Salute. 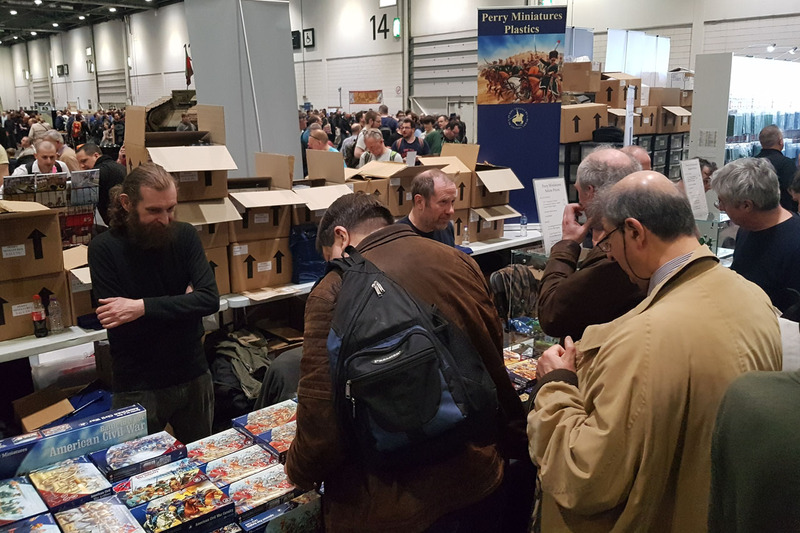 Let us begin with the main event, the Salute 2018. 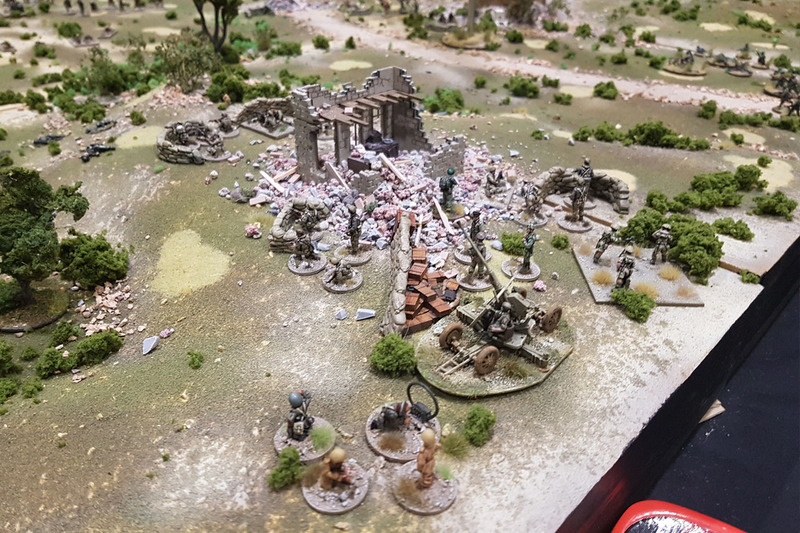 The South London Warlords did once again a great job with the show, and I made sure to get my hands on the 1918 memory event exclusive vignette, sculpted by Perry Miniatures. 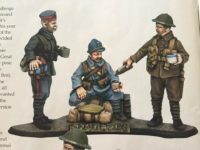 It shows a trio of Soldiers from World War one, a french, a british and a german soldier. 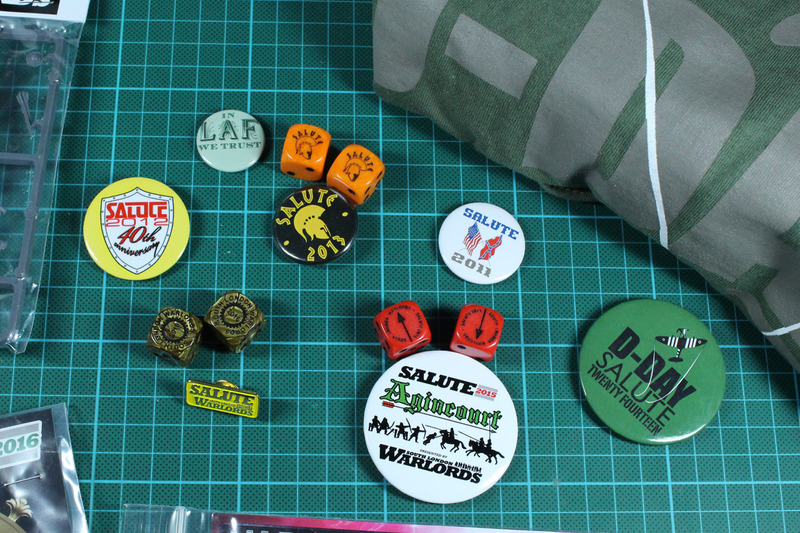 The always have further souvenirs at their booth, so I made sure to grab two sets of dices (with a poppy on the six), a badge and a copy of last years female russian standard bearer miniature. 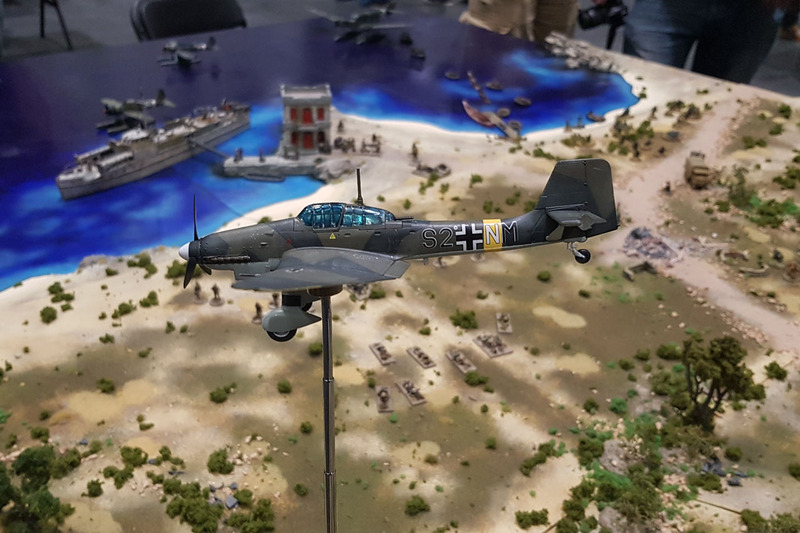 As Salute being such an important event for the wargaming community, lots of companies schedule their announcements and releases for that particular saturday in April. Some of them are just teasered, some proudly announced in the newsletter before the show and others are huge surprises. And as a enthusiast you have your hopes, what will be released or what is coming in the near future. 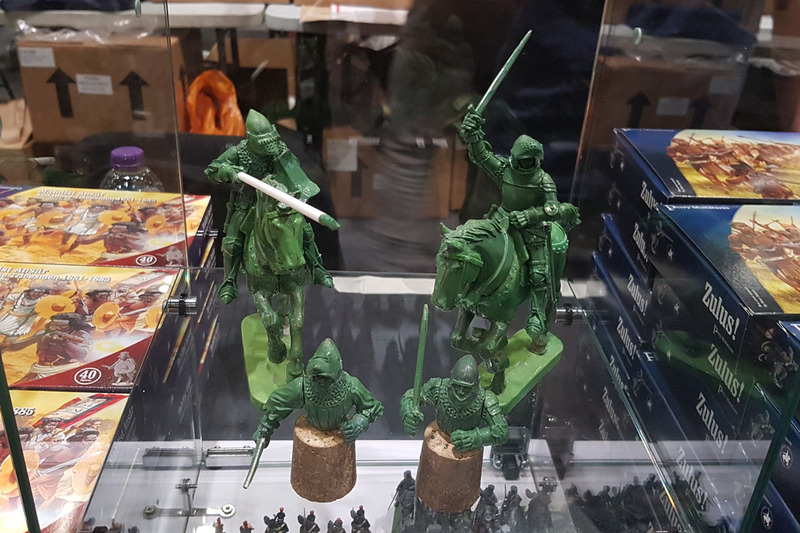 Before the show, I hoped to have a chat with Perry Miniatures and ask them about the chances of upcoming Agincourt cavalry in plastic. And what can I say? 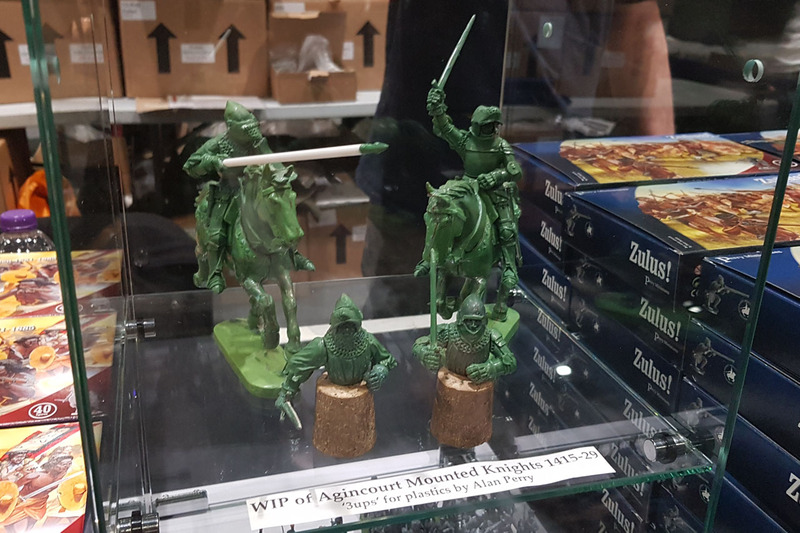 I got lucky, there will be a plastic kit for the mounted knights, but it still heavy work in progress and we might see it towards the end of the year. It is always good to keep an eye on their workbench (there are three, one for plastic, one for metal and one for resin). 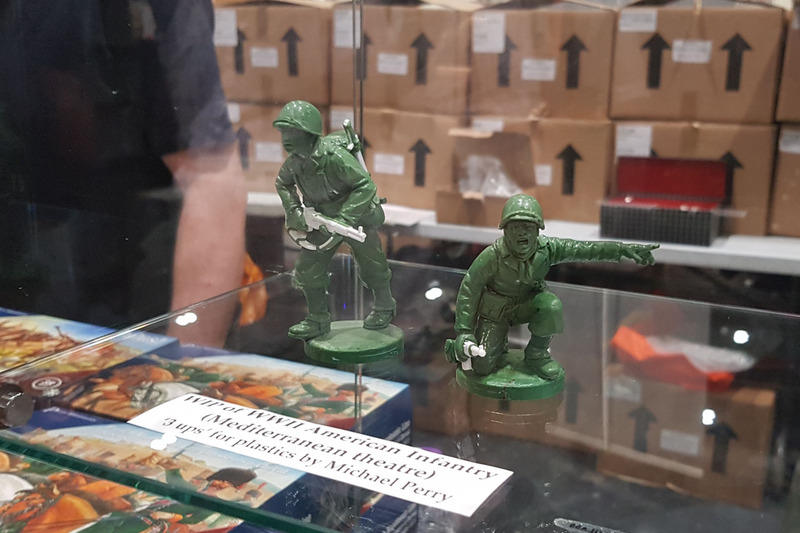 Another surprise were the announcement of US infantry in desert gear as an addition for their North Africa World War 2 range. 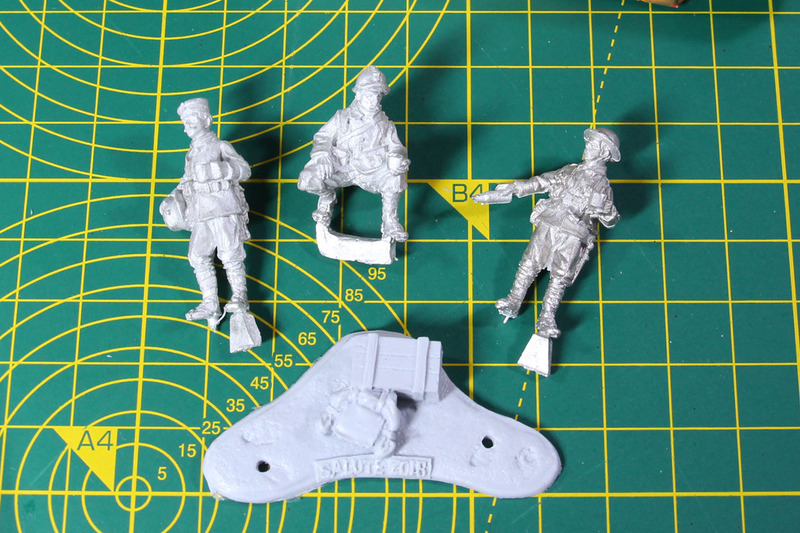 Below you can see the 3-Ups (The masters for plastic miniatures are sculpted 3 times the size of the final product and are scaled down during the production process). 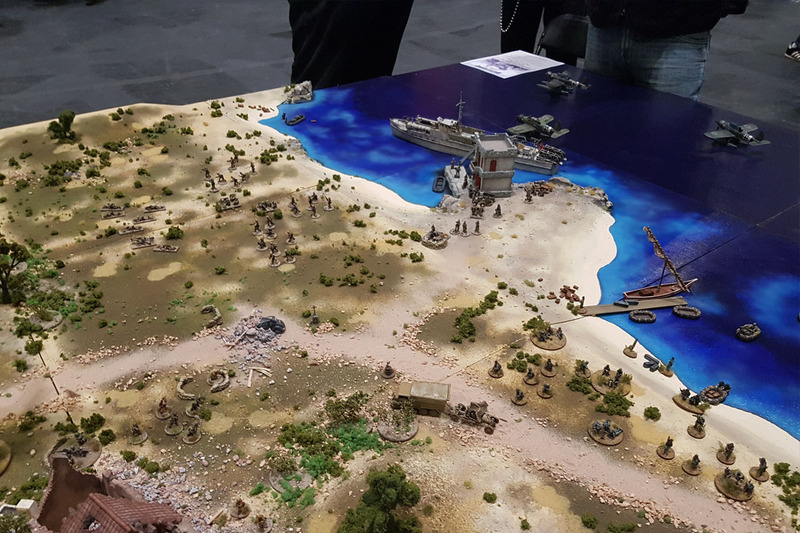 Let us focus on the gaming tables and participation rounds at Salute in this part of the coverage. 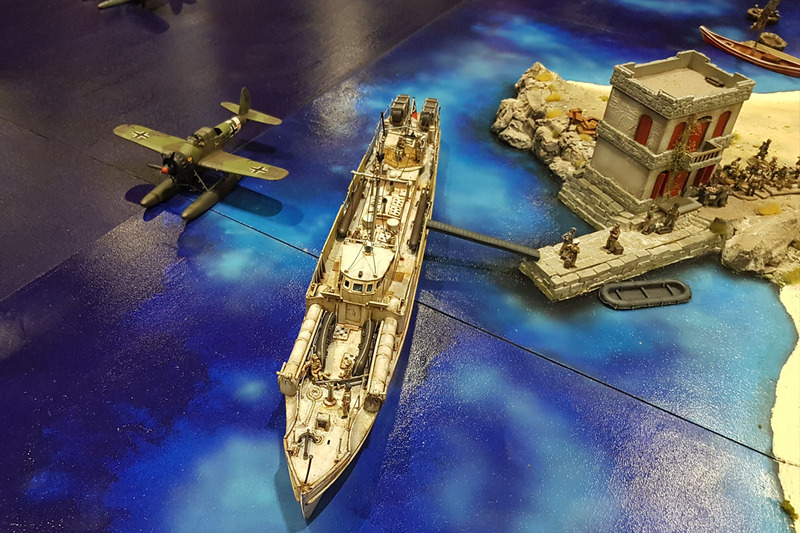 A table, that I was really looking forward to see, was the one by Andy Singleton and Kildaire Paintworks, it is a 20mm / 1:72 World War two Setting in the mediterranean. 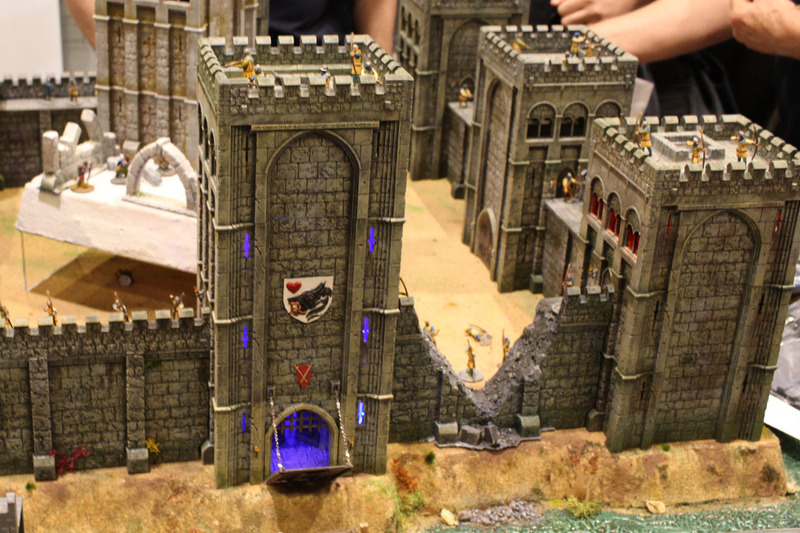 He documented the different kits shown in the scenario on facebook, showed work in progress on models and terrain. And it was amazing to see, how it all came together at the show. Had a great talk with Andy at the show. 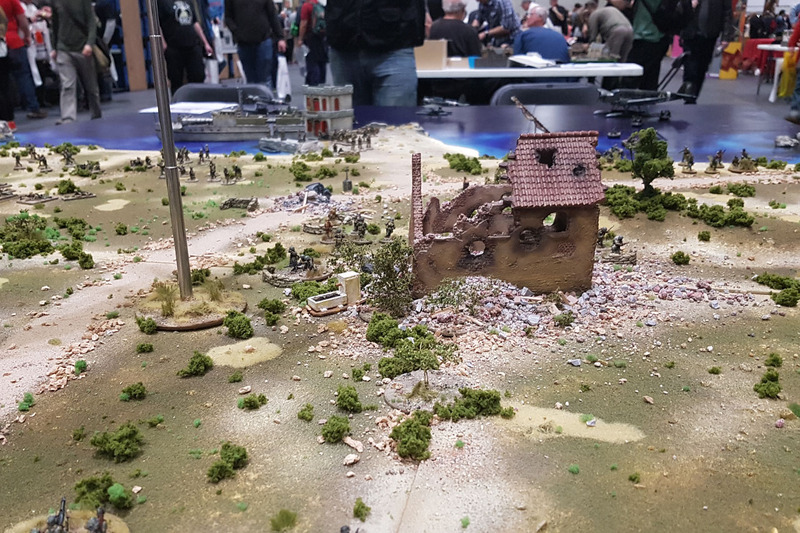 Always fun to exchange ideas and have a chat with fellow wargamers. 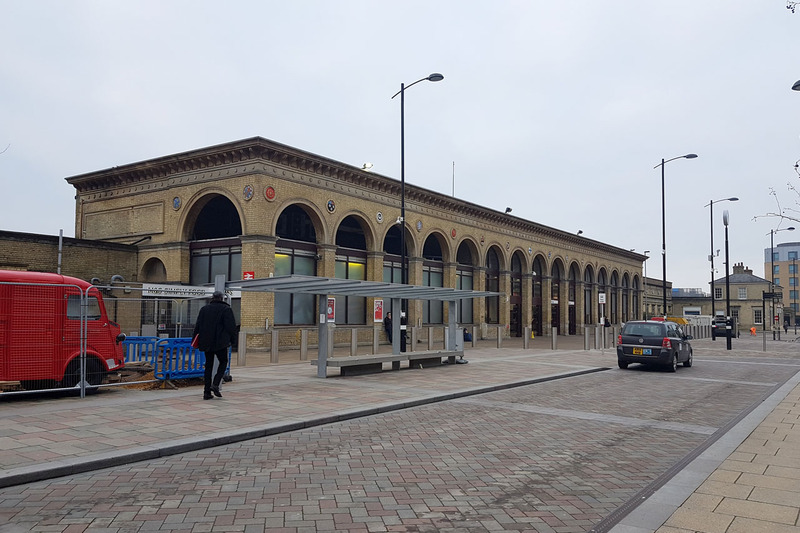 Salute began early for us, after the day-trip to Nottingham, we we're ready and waiting at 7 a.m. at Cambridge Station. 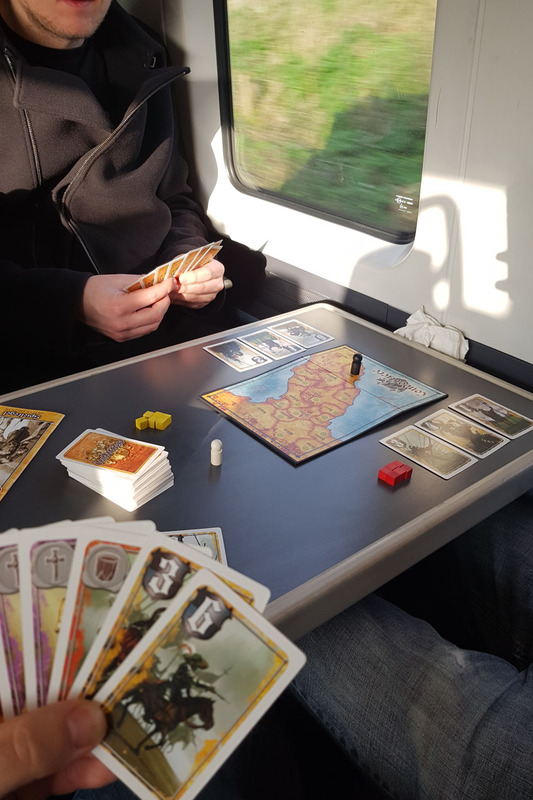 Taking the Great Northern towards London, we had some time on our hand. It takes roughly an hour and gets you to Kings Cross without a stop. 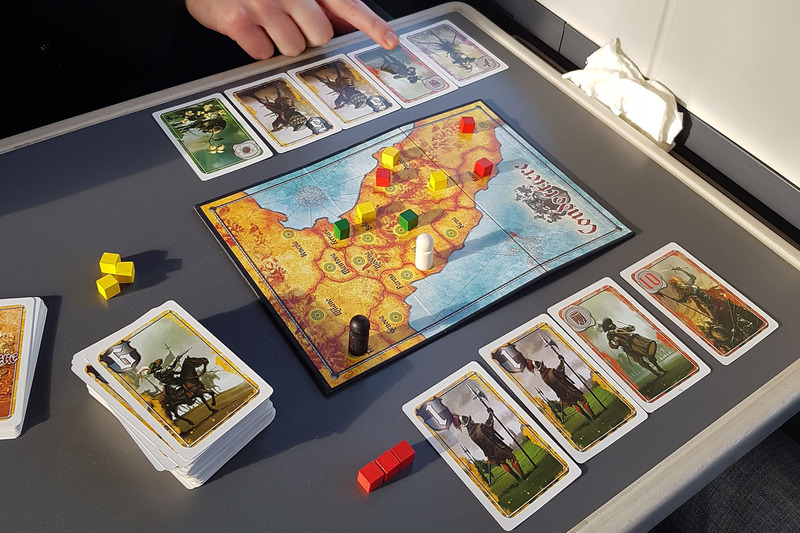 Spending that time on going through our "what-to-see", "what-to-try" and "what-to-buy" lists again and playing a match of Condottiere. Perfect size for the train. 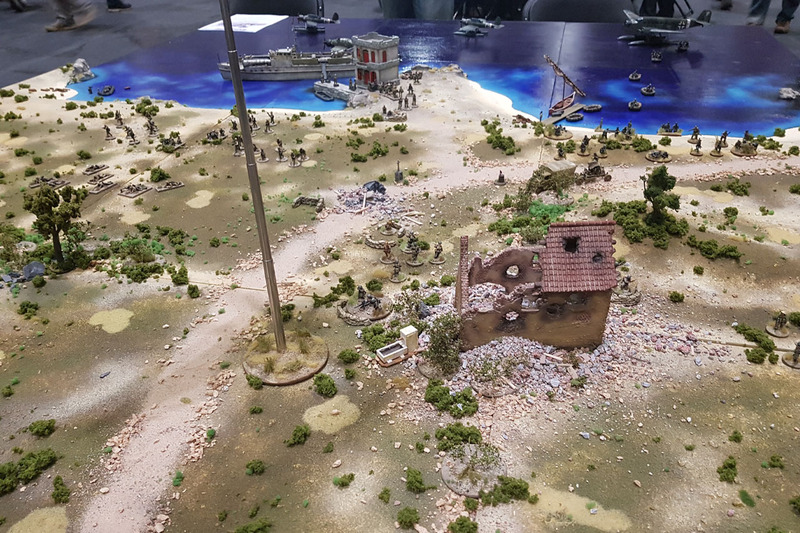 It is time to take another approach and try to loot the Island for pewter, plastic and resin! Thursday we head over to the UK, for a short trip to the "Leadbelt" of Nottingham as well as paying a visit to the Salute on saturday. 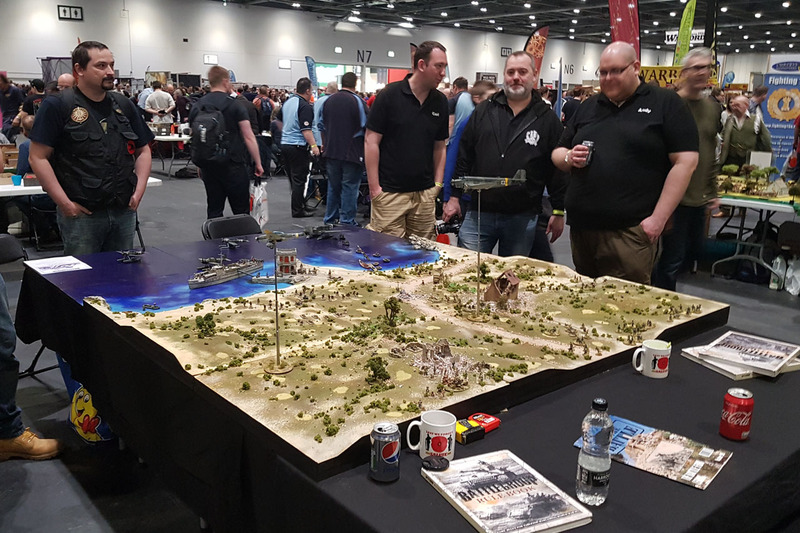 Salute is the largest wargaming event in the UK, hosted by the South London Warlords at ExCel London on April 14th. Crisis in Antwerp is hard competition in size to this event, as it is larger on floor terms, but Salute is more international and has the benefit of being british homeground. 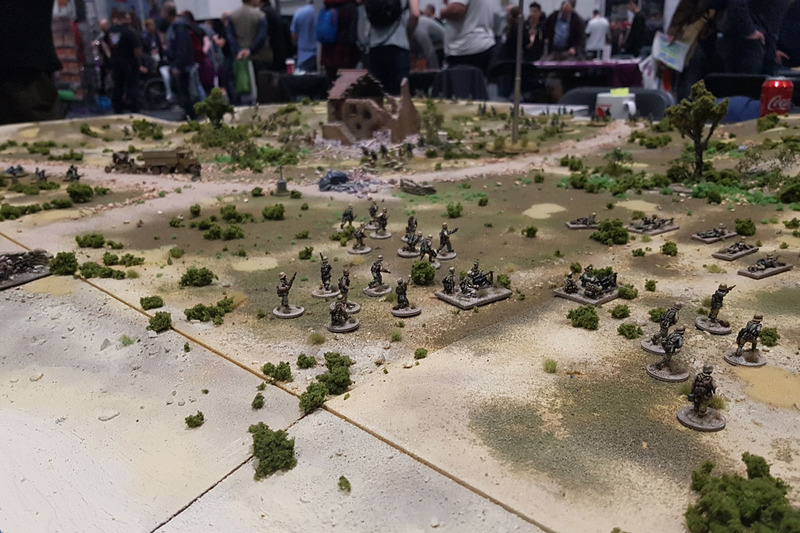 On April 22nd, was the Salute 2017 held by the South London Warlords. 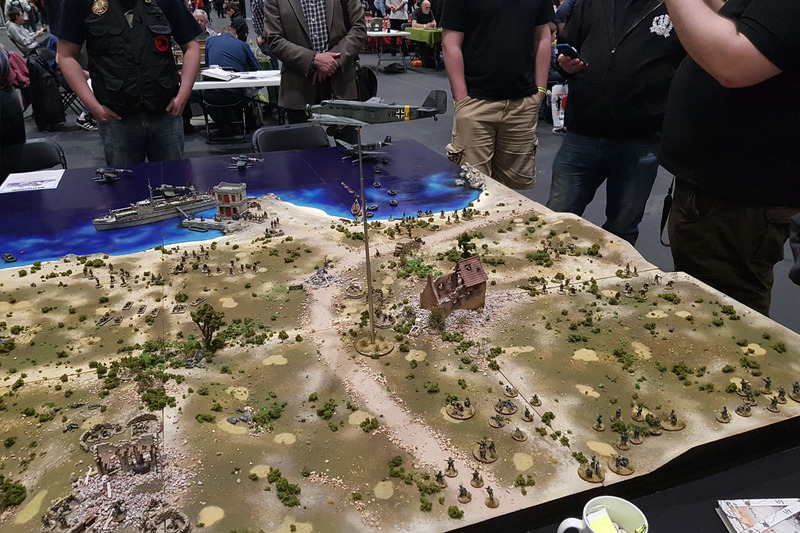 Salute is the biggest independent one-day wargaming and gaming event in the UK and likely in Europe. 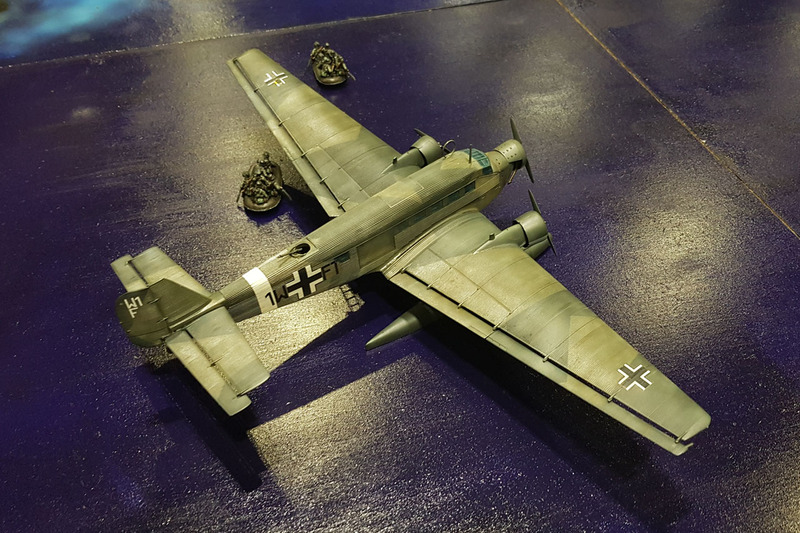 I visited the show last year in 2016, had a great time, as you can see here in the Parts I - IV of my coverage (Part I, Part II, Part III and Part IV). 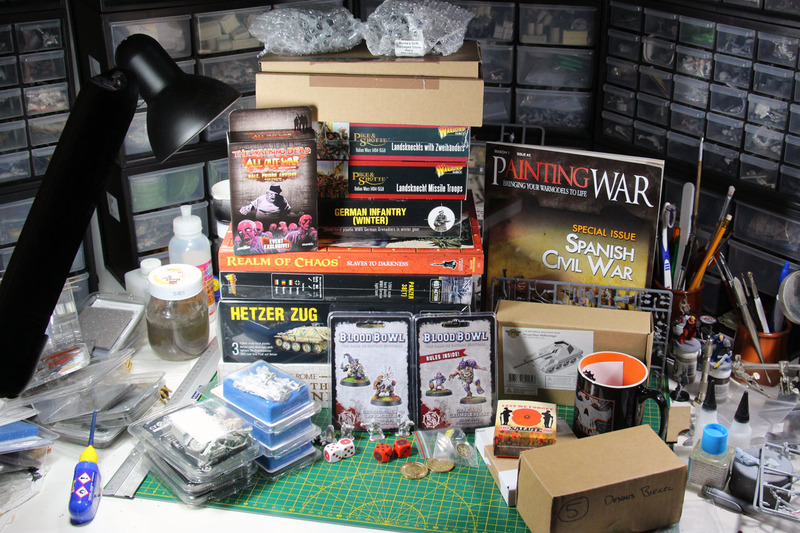 This year, due to time issues, I couldn't be there myself, but a good friend of mine, living in Cambridge, was kind enough to bring along a few items for myself and even kinder to drop by the next day (24h express wargaming goodies delivery... so great 😀 ). 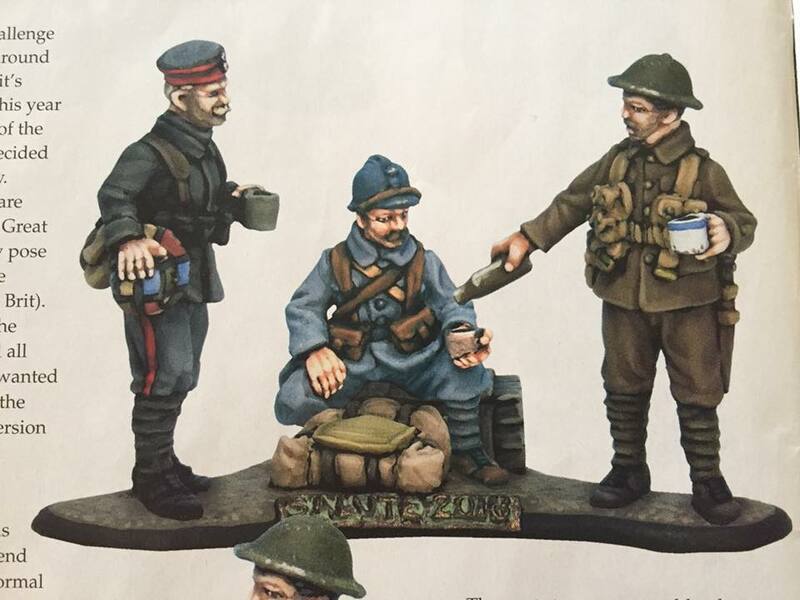 This short review of Maelstrom's Edge Epirian Handlers is a bit spontaneous, as it was part of the Salute 2016 gift bag, and i thought it might be a nice idea, to share it with you. 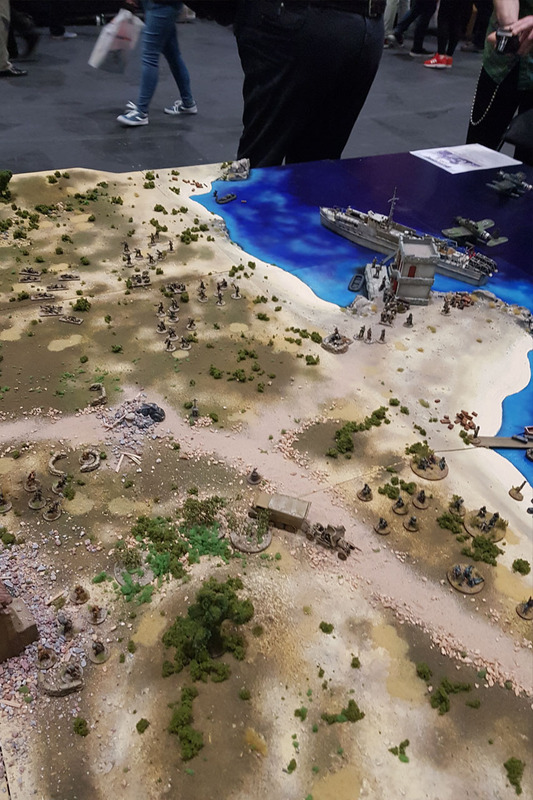 The game itself is a sci-fi tabletop wargame, with 20-30 miniatures per side, and offers a starter set with plastic miniatures for the Epirian and Karist factions. The starter set Battle for Zycanthus is 89 USD, and the sprue i am assembling in this article is 7,49 USD for 2 miniatures. 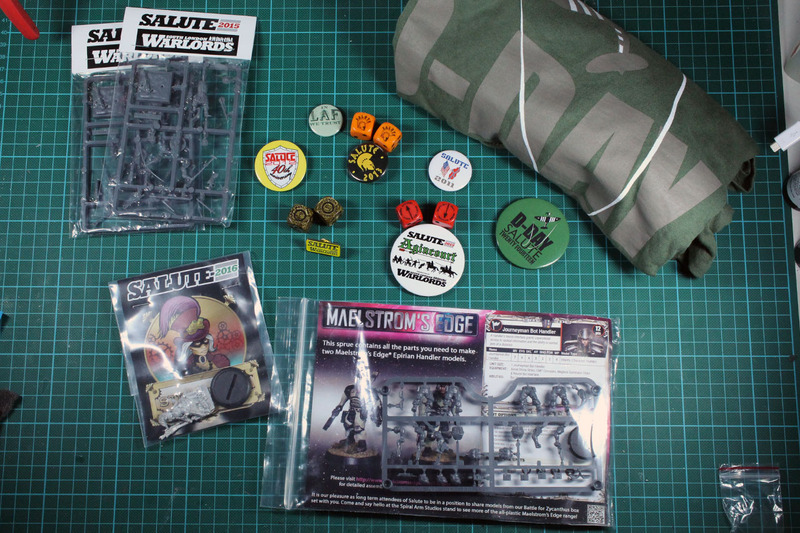 So I've completed my four part coverage on the Salute, and here is my personal conclusion and "haul" from the event. 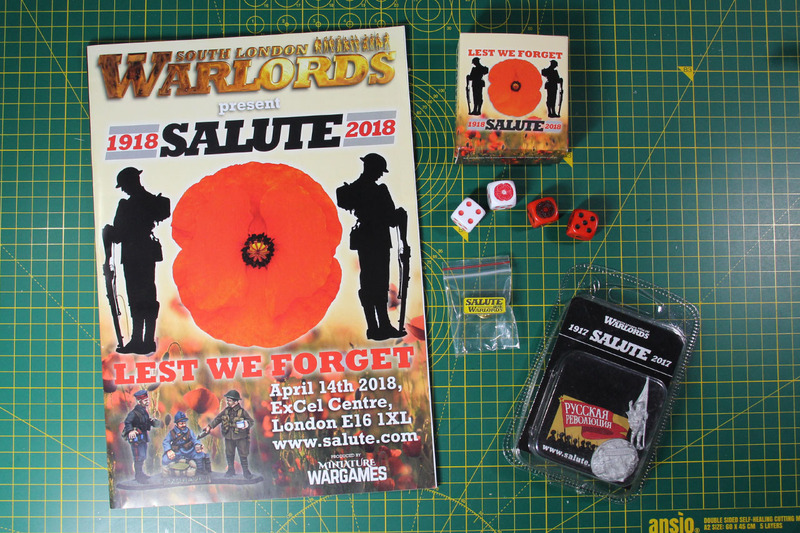 The South London Warlords put a lot of effort into the "Swag bag" and the show in general. 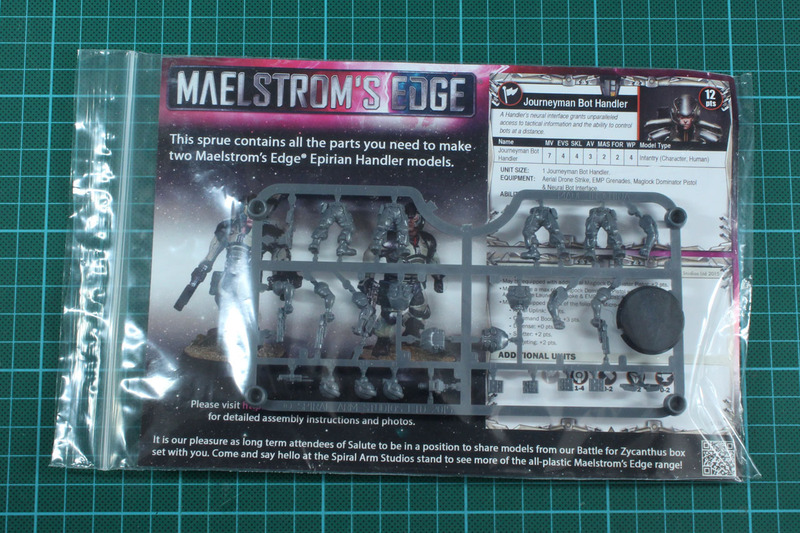 So along with the ticket, you receive the limited miniature by Westwind Miniatures and a few freebies, in this case a sprue from Maelstrom's Edge. 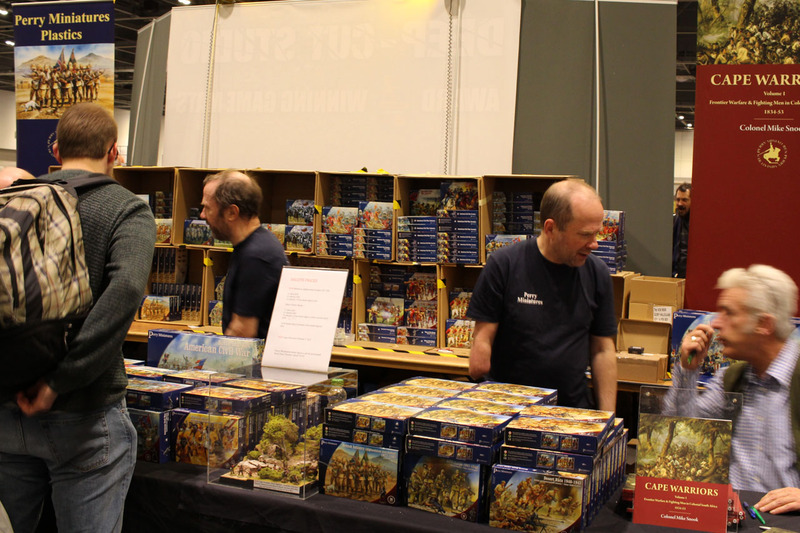 At the info desk you could stock up on older event stock, like badges, t-shirts, dice and miniatures. 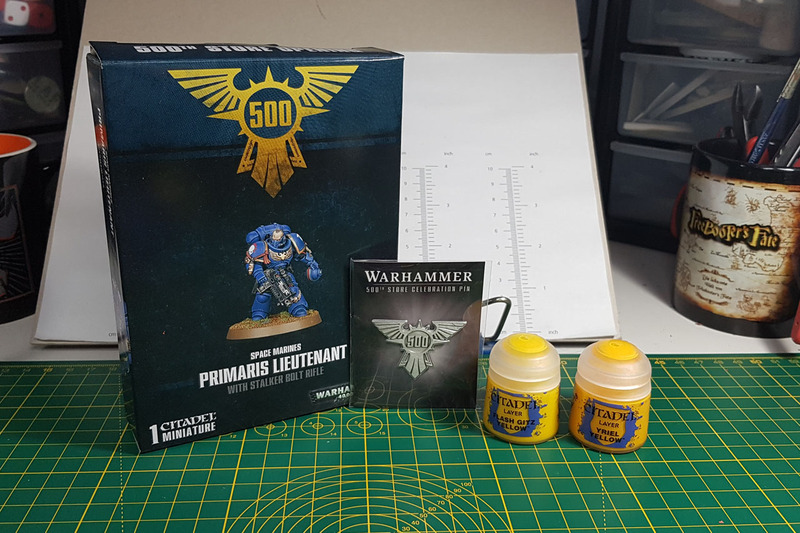 I used the chance, got last years miniature by the perrys, the D-Day anniversary shirt, along with older events dice and badges. A special highlight for the last part. What kind of a show would it be, without the Perrys? 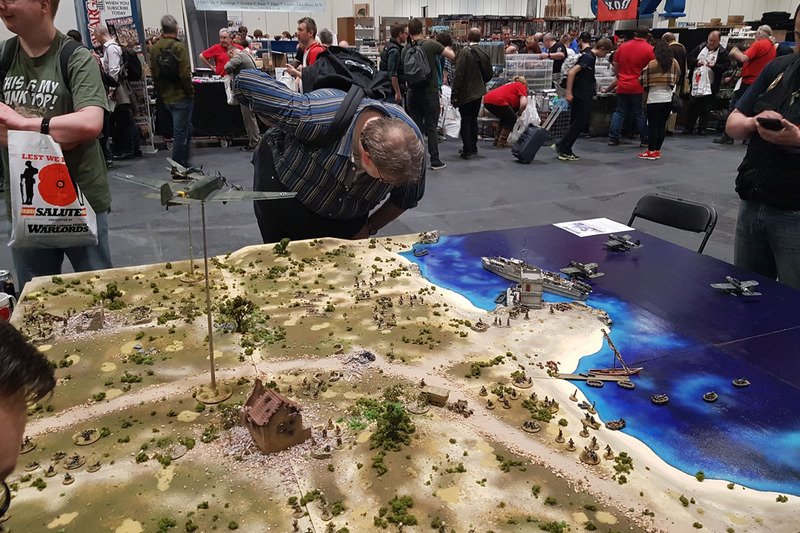 They were there themself, with a wide stand only covering their plastic sets (Dave Thomas takes care of their blisters at show - who was at Salute as well). The novelties were anglo-centric with the Cape Frontier Wars. 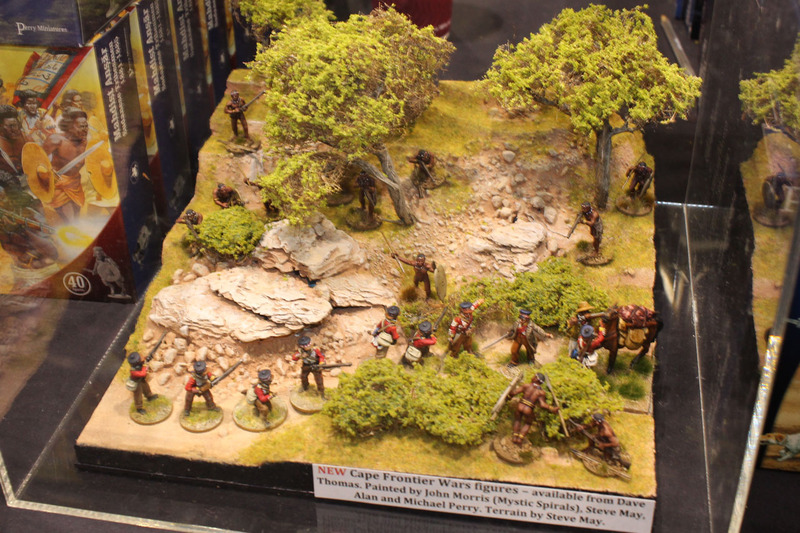 Right next to the Perrys were Renedra, who take care of the production of plastic kits for half the wargaming business. It was great meeting the family behind the company, so lovely people. 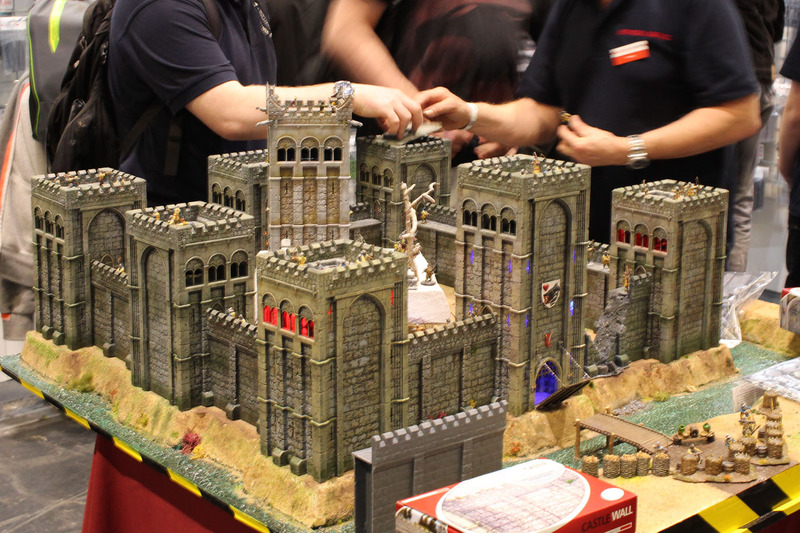 They showed the new castle / tower kit, and it was selling like hotcakes. 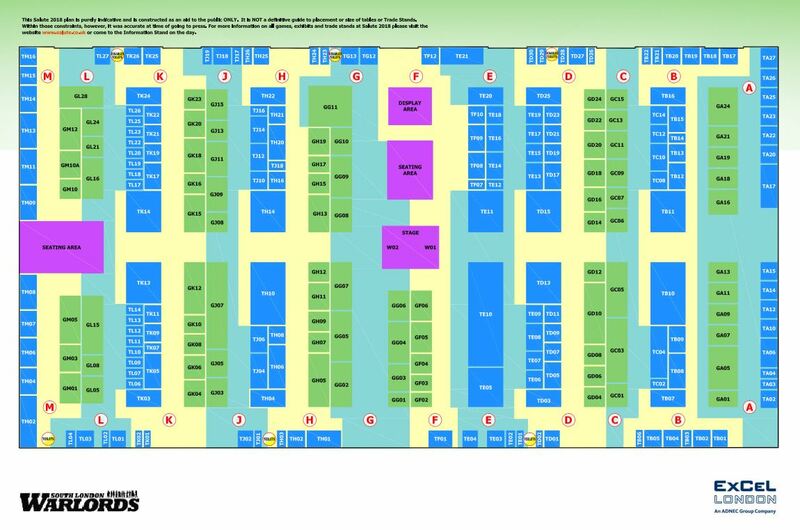 No wonder for me, look how impressive it is.